Loudon County Schools is in the process of adopting textbooks in the subject areas of social studies, world languages, CTE marketing, finance, and business management and administration. Textbook samples can be found online at https://www.tn.gov/education/textbook-services/textbook-online-samples.html or physical copies received by the District will be available for review at Loudon County Technology Center, 4384 Harrison Road Lenoir City from March 18-20 during the hours of 8:00-4:00. Congratulations to Highland Park teacher, Kelcie Vanosdale, on being selected WBIR's Teacher of the Week. Congratulations to Alyssa Cole, NMS teacher, who was the winner of our holiday hashtag challenge. We will be using the hashtag #loudoncountyachieves in our social media posts. Here's your holiday card from Loudon County Schools - enjoy the video and the Christmas Break. Here's a fun holiday challenge. Loudon County is still looking for the perfect hashtag to use in social media. Submit your ideas in the form and you could win a prize! The East Tennessee Regional 13th Annual Knoxville Museum of Art Student Art Exhibition will include several Loudon High School students including 1st Daisy Adame, 2nd Andrew Pellom, 3rd David Green, 4th Estefania Olvera, and 5th Emily Goodman Their work will be on display at the museum from Nov. 23 to Jan. 10th. 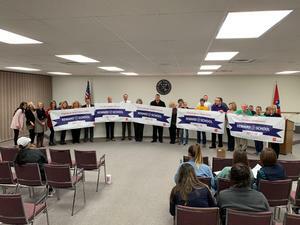 Ginger Leach with TN Dept of Education East Core Office presents 5 Reward Schools and the Exemplary District Awards at the December Board Meeting. 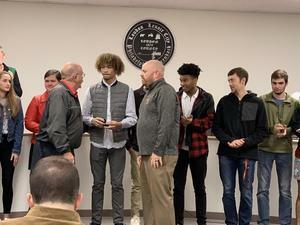 LHS student JD Thaxton honored at December Board meeting with formal resolution for winning State Championship in high jump. In addition, the entire Loudon High track team was honored for their exemplary season. 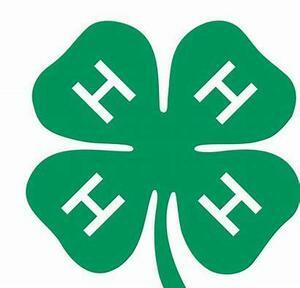 Several Loudon County students received awards for 4-H Speech, Tasty Treats, and Posters at a ceremony on December 7. Click read more for the list.